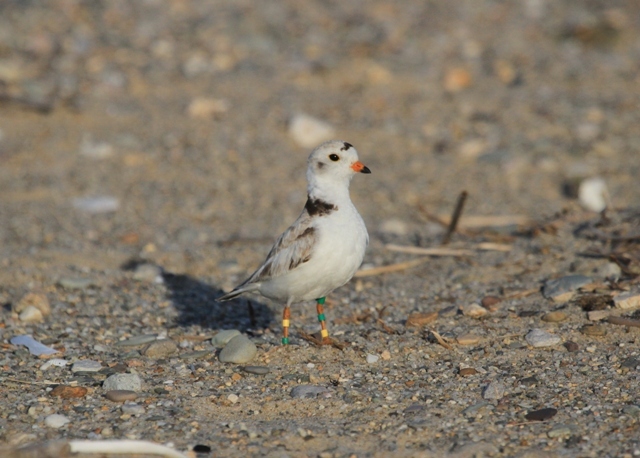 We often say that April and May are the best part of the coastal waterbird field season because Piping Plovers are returning and in full courtship mode. At that early stage, we’re usually feeling pretty hopeful. The season is too fresh to be marred by predators or stormy weather. 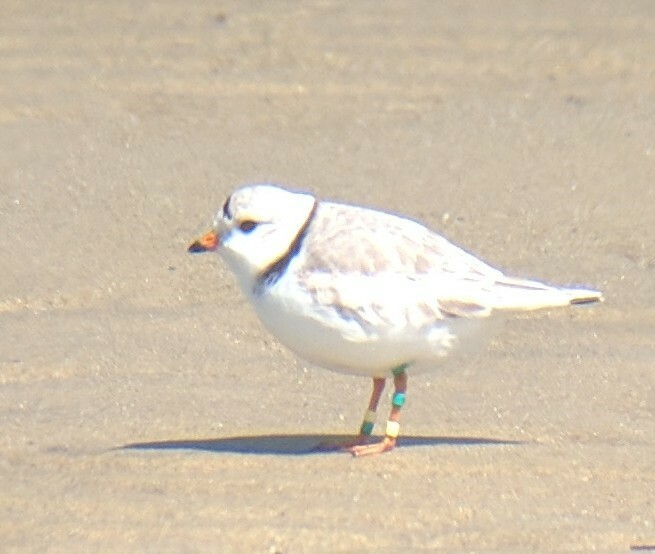 This spring we were especially delighted to welcome back an old friend, a plover dubbed some years ago “El Bandito” for the yellow and green bands placed on his legs by researchers. Bandito made his breeding season debut on an Eastham beach in 2013. He didn’t have a mate (he was young and inexperienced, which apparently is less appealing to females). He was described in our field log as a lone banded male who occasionally clashed with other males. El Bandito in his rookie season in Eastham. (Photo by Mark Faherty). In 2014, Bandito returned and this time he had a mate. 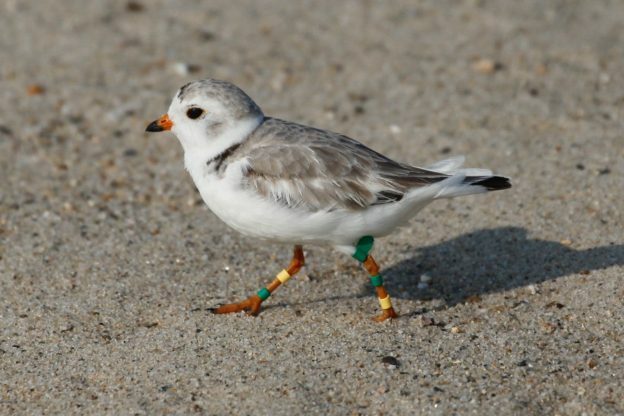 They managed to fledge one out of four chicks, just slightly below the rate needed to sustain the Atlantic coast population. Bandito becomes a dad for the first time in 2015 (photo by Rachel Smiley). In 2015, Bandito and mate fledged three chicks. As it turns out, the season proved to be Bandito’s zenith in breeding success. Bandito with his brood from the 2015 season (photo by Sherri VandenAkker). The following season, he and Mrs. B. lost nests at several different locations and fledged no offspring. Last spring, Bandito again returned to his favorite nesting site in Eastham. But there was no female to be had. He even zipped over to First Encounter Beach to look for a mate and later over to Crosby Landing in Brewster where, from what we could tell, he actually managed to woo somebody back to Eastham. But the new bird did not stay and Bandito’s summer was a shut-out. So, on April 9th of this year when our colleague Joel Wagner discovered El Bandito back at his favorite beach for a sixth year, our hopes were revived. The season was starting off right, we thought. But as April progressed, visit after visit to Bandito’s beach produced increasing reports of “few tracks, no bird seen”. By May it was clear Bandito had vanished. Over time, Bandito, like any banded bird, has provided information about his longevity, breeding success, challenges, and behaviors. But now he’s left us with only questions. What the heck happened this year? Did the Snowy Owl who lingered on his beach in April snack on him? Did he decide that his beloved nesting site had eroded too much over the winter? Bandito won our hearts with his bravado and tenacious fatherhood and he helped lighten the inevitable disappointments of a field season. 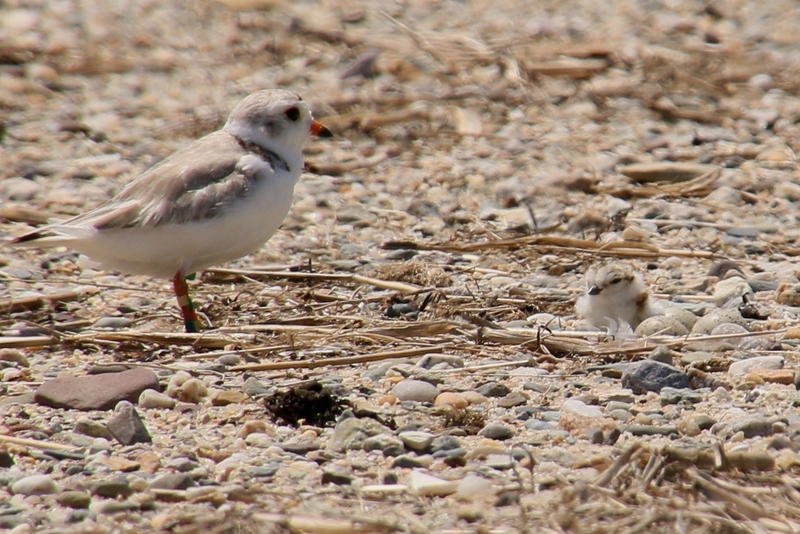 This spring, many of our plover nests have been eaten by crows– some nests just days before their scheduled hatch dates. 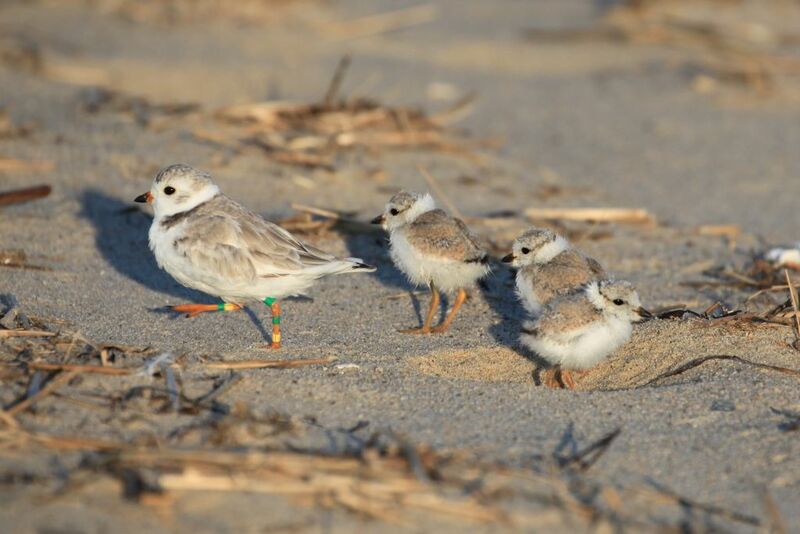 We also discovered a group of beachgoers had broken through our protective fencing and signs and built a bonfire next to a plover nest only hours away from hatching (amazingly, it survived!). These unpleasant events are common in a coastal waterbird season, but Bandito–even when he wasn’t having a great year–could always make us smile. We know odds are that Bandito is gone for good. 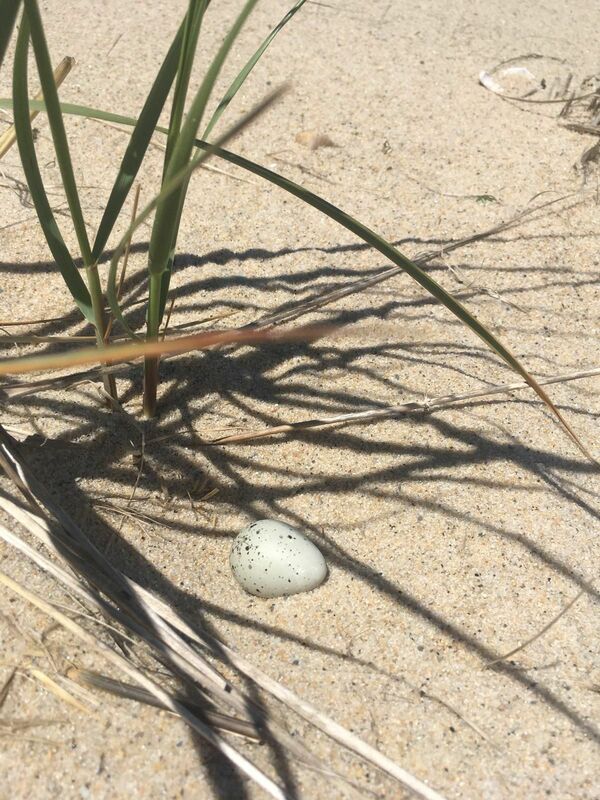 So it was bittersweet when our field technician Briana Pascarelli recently found a one-egg nest at his beach. It belonged to a pair that did not include our banded bird. But if the nest hatches and produces chicks, it will raise our spirits. And Bandito will have provided one more insight into what Piping Plovers are facing out there. New nest at Bandito’s beach. Fingers crossed! (Photo by Briana Pascarelli). This entry was posted in Updates on June 22, 2018 by Wellfleet Bay.